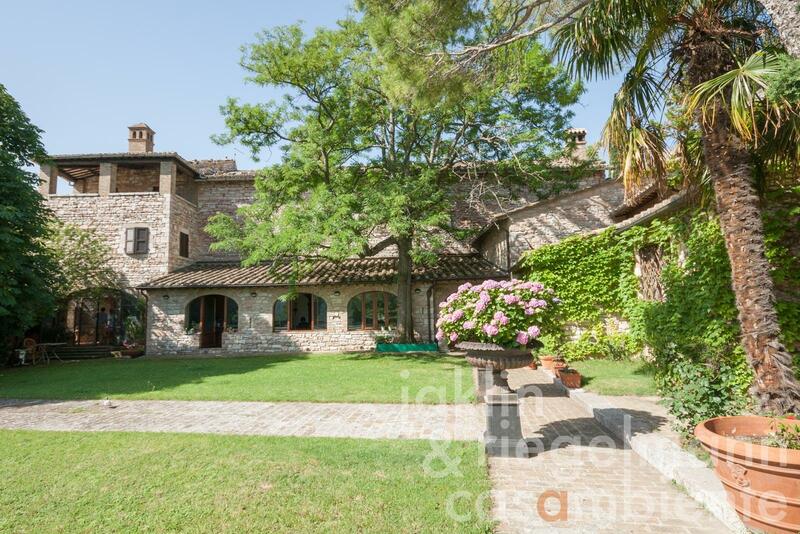 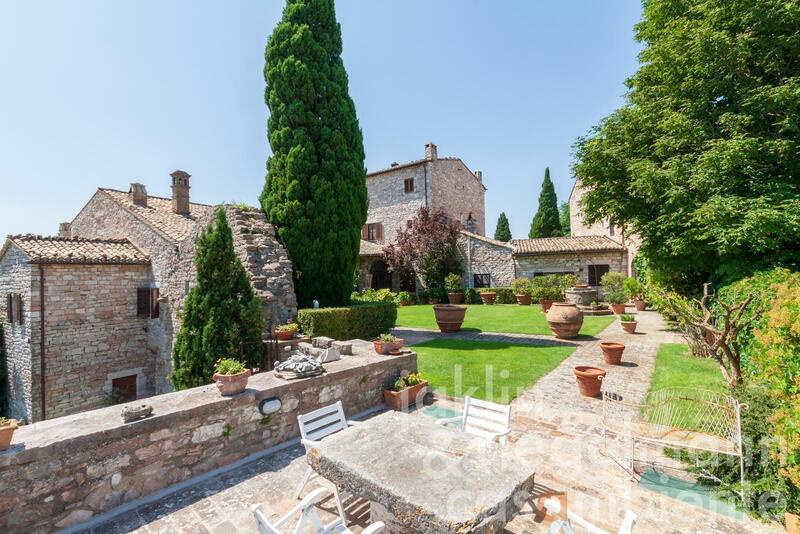 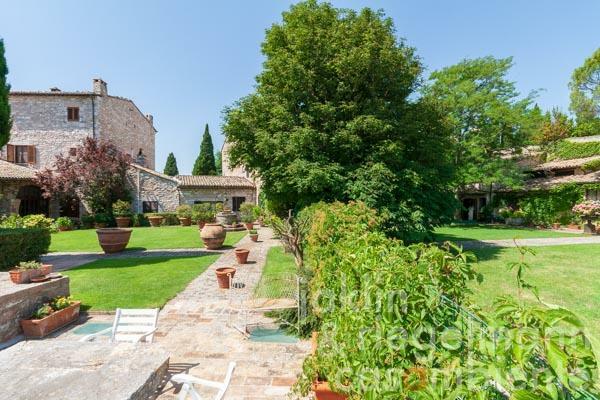 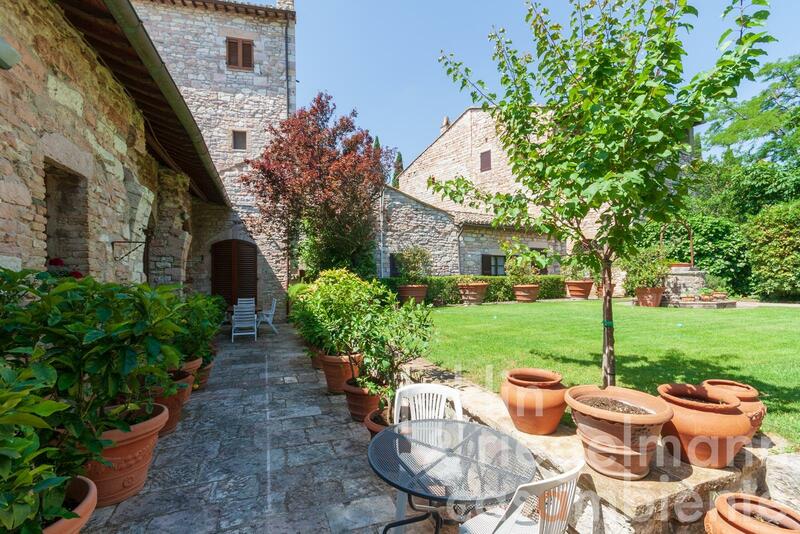 This beautiful group of buildings with a former church and two residential units, dominated by the imposing Rocca Maggiore, is located in the historic centre of the city wall of Assisi in Umbria. 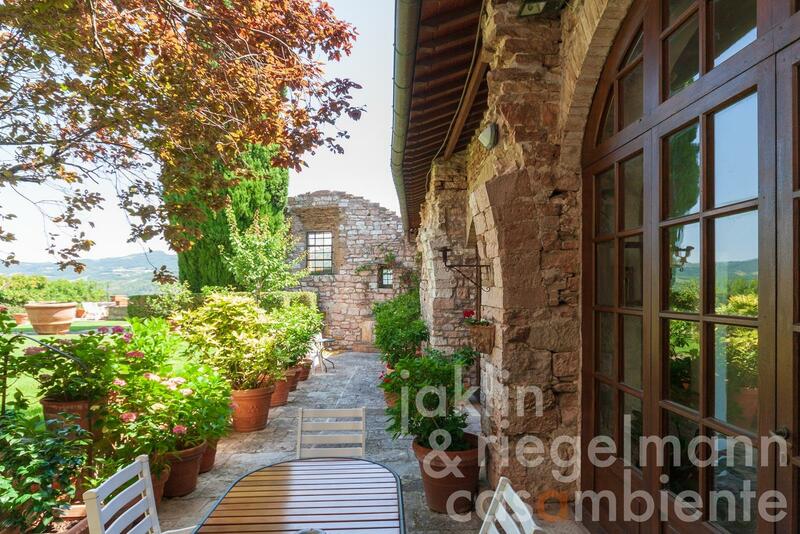 The two residential units - currently separated by a fence in the garden - can be combined to form a single entity if required. 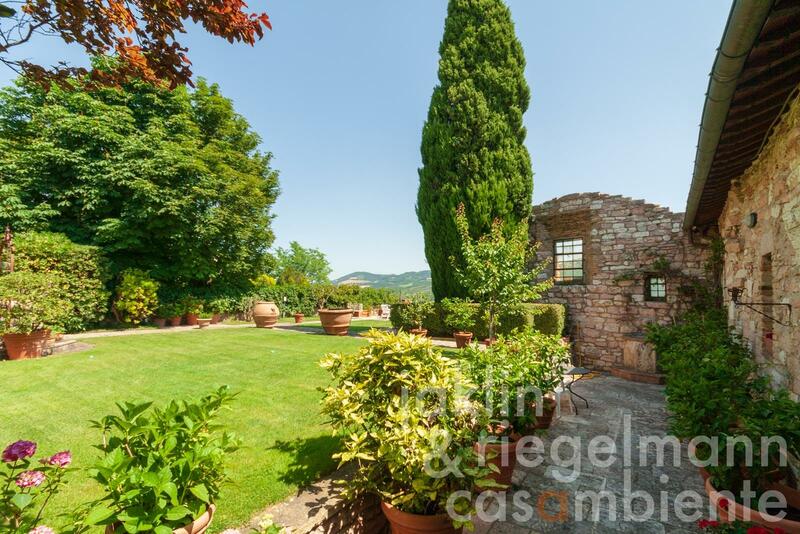 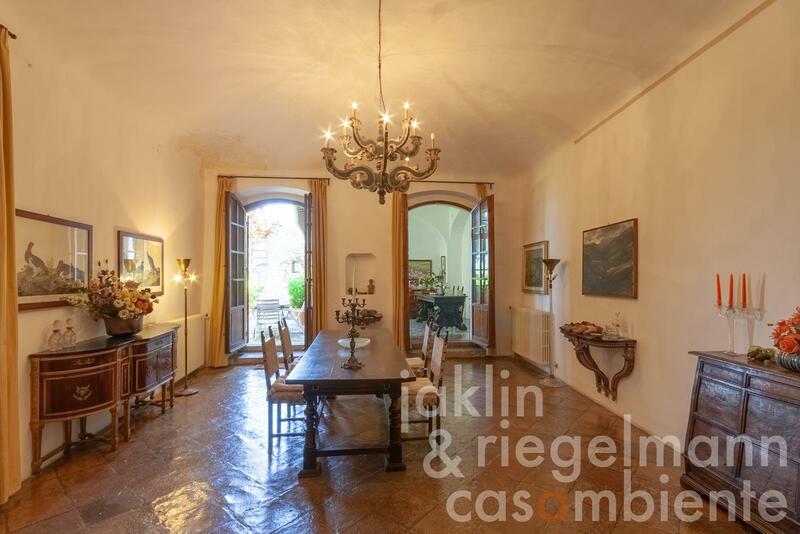 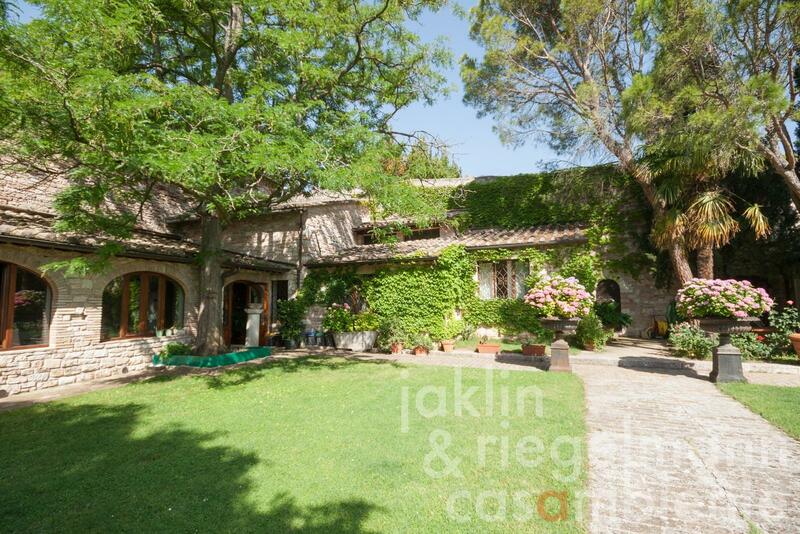 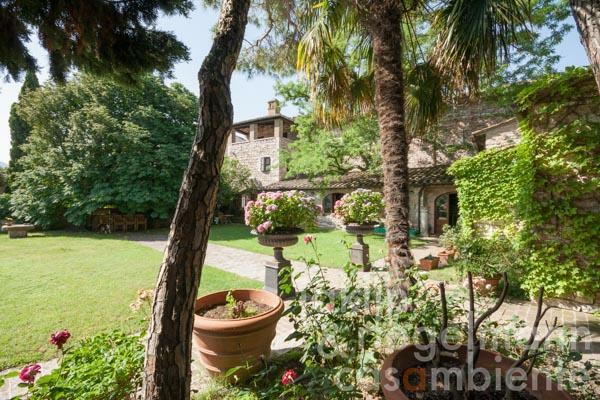 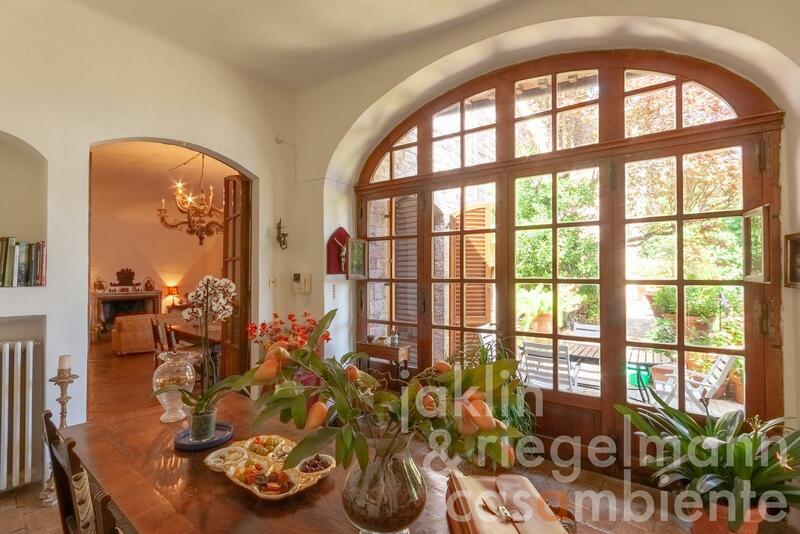 Access to the first unit is via the 500 m² private garden. 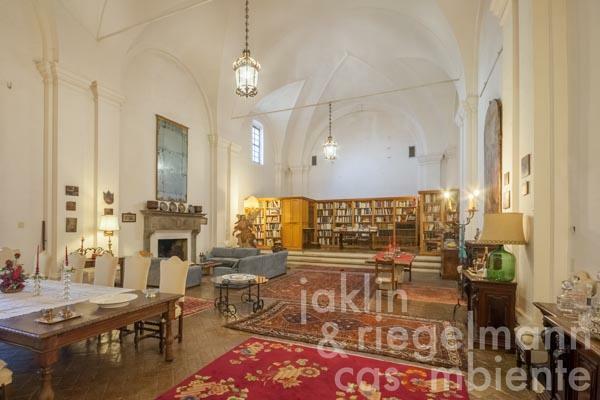 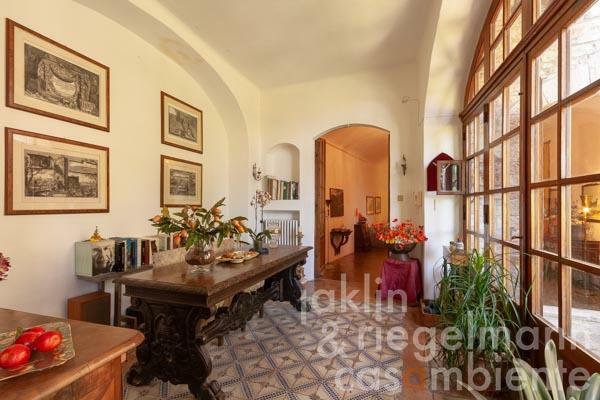 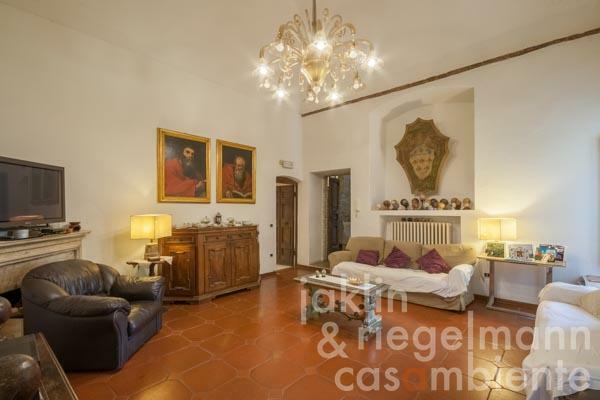 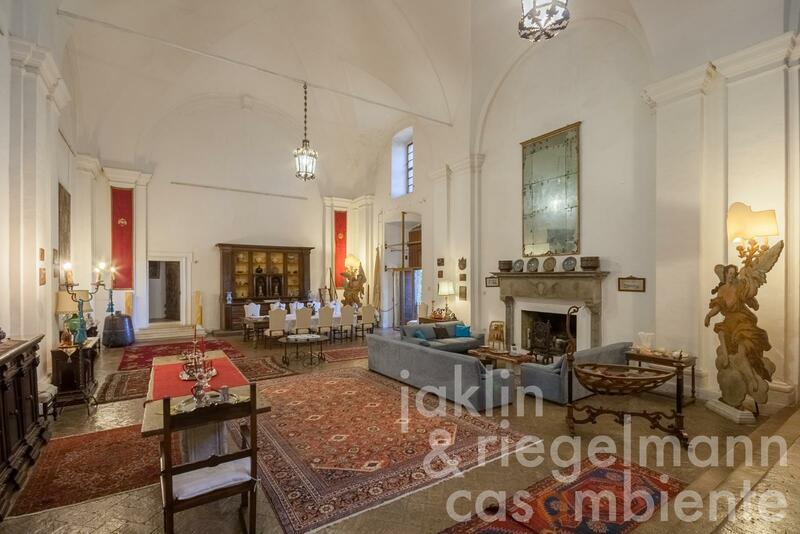 This part consists of a living room, study, kitchen, dining room, three bedrooms, two bathrooms and a living room/auditorium in the former church. 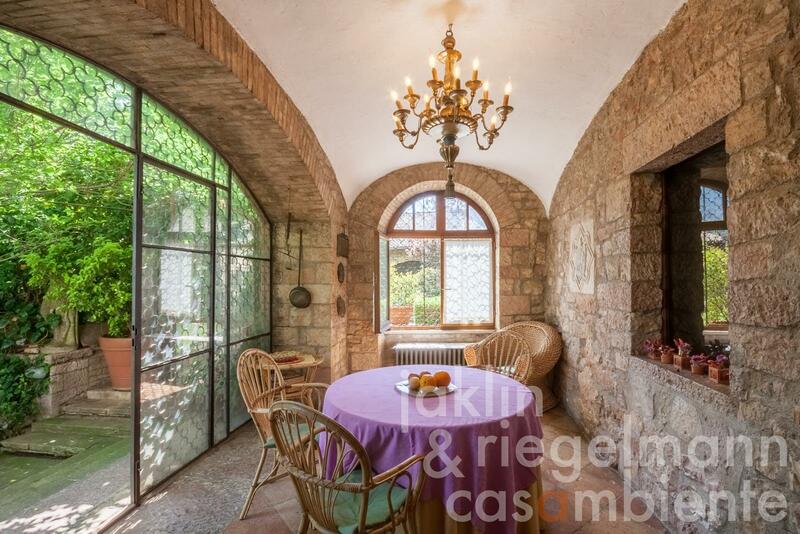 In the entrance area of the garden there is a former chapel which has been converted into a separate apartment suite. The second unit is also accessible via the garden, whereby this private garden part has a size of approx. 400 m². 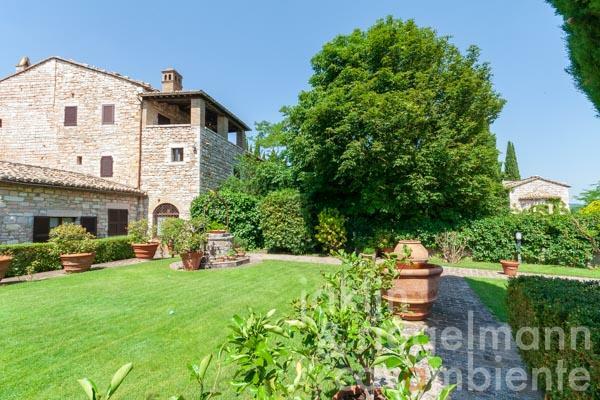 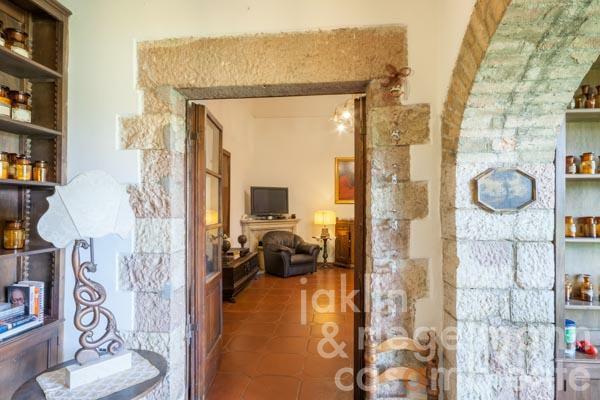 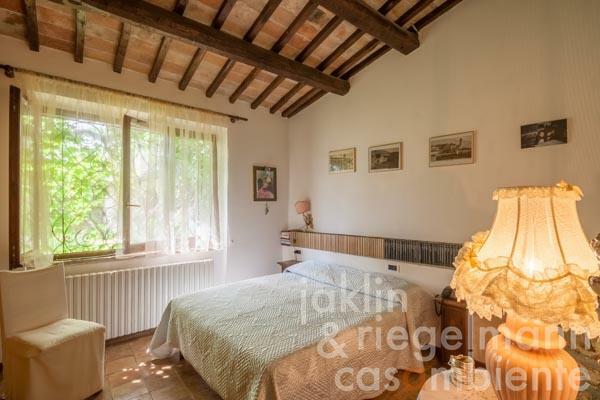 This unit is divided on the left side into a suite consisting of a living room, bedroom and bathroom, on the right side of a veranda, kitchen, living room (ground floor), four bedrooms and three bathrooms on the upper floors, as well as various cellars and storage rooms. 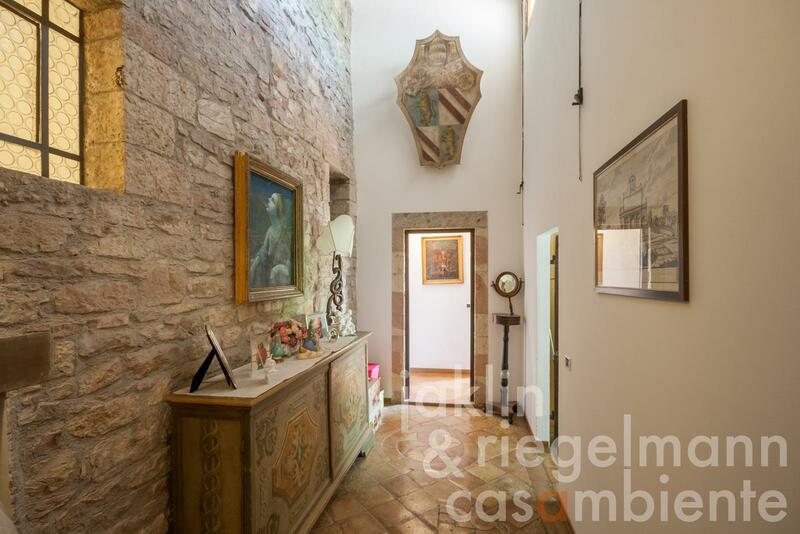 The property was created in its present form from the renovation and merging of the former church with some adjoining houses and dates back to the end of the 14th century. 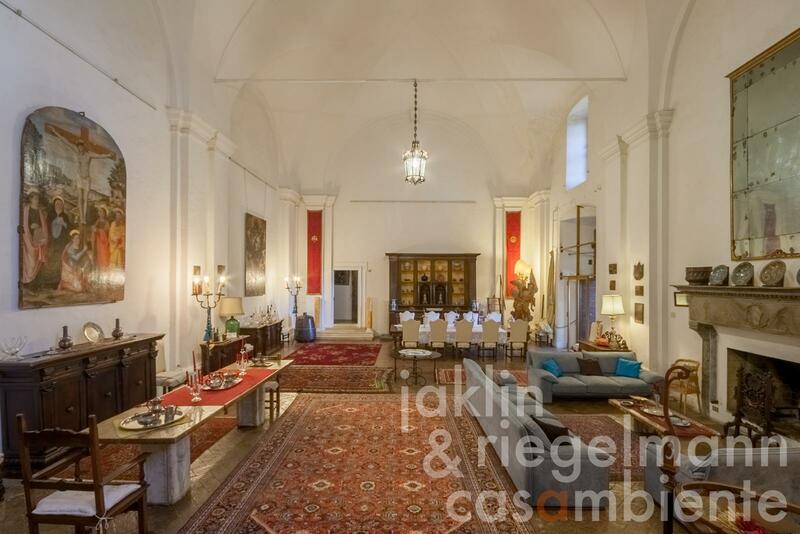 The church was built at the end of the 17th century and serves as a special living room and auditorium for events. 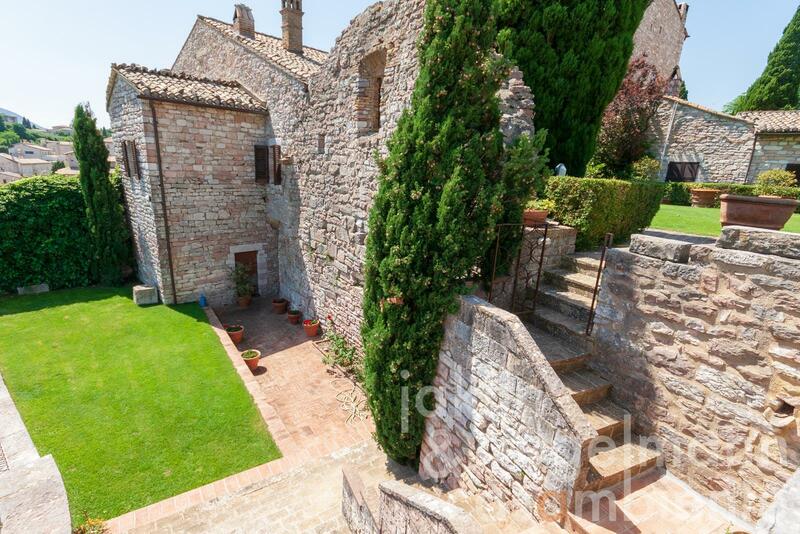 Italy, region Umbria, province Perugia, municipality Assisi. Electricity, mains water, central heating, fireplace, gas connection, telephone, broadband internet access, satellite-TV, terrace, garden.